Handsome dark burgundy leaves in dense clump. 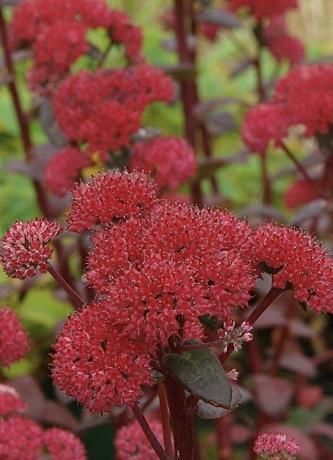 Rich red small flowers in large clusters, July to September. Sun and good drainage. 45cm tall. Loved by butterflies and bees.